The IJW Premium Wall Bracket Light is available in standard 2’, 3’, and 4’ lengths, in 1 and 2 lamp configurations, T5, T8. 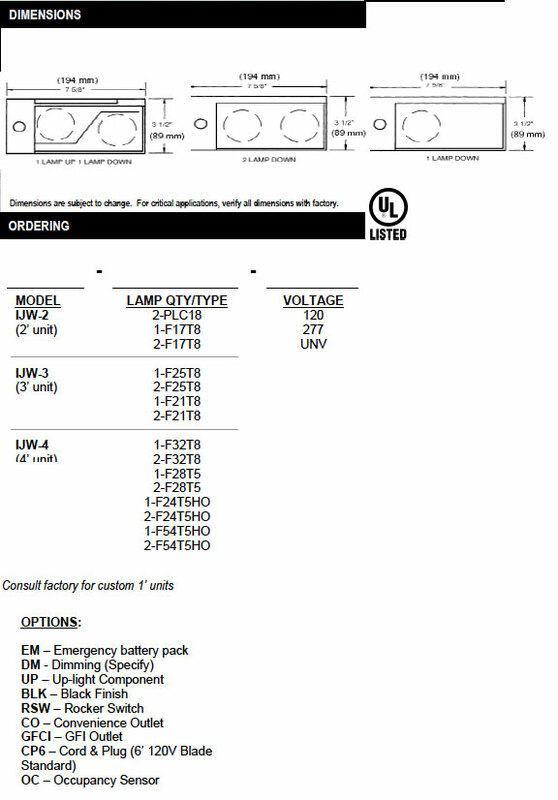 Optional custom 1′ units for CFL lamps. This versatile unit can be wall-mounted with or without up-light component for task lighting. Can be under cabinet or corner mounted. Optional switch, occupancy sensor, convenience outlet, GFI and cord and plug assembly to meet any requirements. Lens is held in place by spring latches for secure fit. For individual and continuous row mounting. 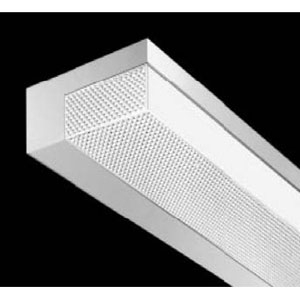 Clear Linear Prismatic in diffuser for glare-free illumination. Optional up-light lens is ribbed acrylic. All housings are post-painted with a smooth white polyester powder coat. Optional black or custom finish available. All units bear UL label.